This past couple of months has seen plenty of changes within Sony Mobile. Formerly Sony Ericsson, Sony has completed their buy Ericsson's shares from the company. I am sure they will be glad to see such distractions behind, but I have a feeling that the restructuring of the mobile unit will go on for quite a while. The Xperia S is the new Ericsson-less Sony Mobile's first ever smartphone. While I wouldn't go far as to call it the first real Sony smartphone (development no doubt began more than a year ago), it is the first Sony branded Android device to hit the market. Like previous Xperia devices, rather than going all out brute force with big numbers and specs, Sony is counting on good designs and software differentiation to make an impact. Sony (Ericsson) has improved tremendously over the past year offering devices that not only performed well despite the specs handicap, but also being more open to software updates and development. With devices like the Xperia Play and Xperia Ray, they have also successfully differentiated more than their Android OEM competitors have. 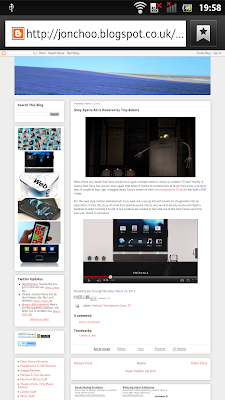 Read on for the review of the Xperia S.
With the Xperia S, Sony Mobile has charted a new design language going forward into 2012. The old design language that started with the Xperia X10 has been shredded, which is a shame as I loved the Xperia Arc design a lot. The Xperia S with its sharp edges and angular design is very much a Sony-inspired design, with design cues taken from their other products such as the Bravia TV. With the Xperia Arc, you can see traces of old Ericsson designs from classics such as the T28. With the Xperia S, you have none. It is as if the designers at Sony Ericsson knew that the divorce would have happened sooner or later. Despite the change in direction, I think they did a wonderful job with the Xperia S. The design is stylish and very much recognisable as a Sony device. In a sea of Android clones from Chinese and Taiwanese manufacturers, it is refreshing to see an Android OEM working hard to design a phone that is uniquely theirs. In spite of the rather normal looking top half, the translucent plastic that separates the device and the antenna on the bottom immediately stood out. Sadly with a new design comes some compromises. Previous Xperia phones were always unique in that they have lovely well designed physical hardware buttons. I am not a massive fan of capacitive touch sensitive buttons and it is sad to see Sony dispensing on hardware keys. Still I could live with a good capacitive buttons, if they were well designed and placed and sadly this is where the Xperia S falls short. The buttons are just poorly placed. The translucent plastic actually have pictures of the hardware keys embedded into them but, surprise surprise, the keys aren't actually on the plastic strip itself! They are actually the three tiny dots above them. And like tiny dots they are, the buttons are not sensitive enough and are too close to the screen to operate comfortably. The large 4.3" LCD display is a joy to see and use. The 720x1280 resolution dominates the entire front of the device. Powered by Sony Mobile's BRAVIA engine, the screen retina-beating display is plain sharp. If there was a large screen iPhone available, it would look exactly like this. The software engine boost the colour and contrast of the display, but it doesn't make much difference in real life. Personally I would rather switch it off to save on power as the screen is already good by itself. The large display does make the device difficult to use one handed, particularly with the pull down notification nested on the top. I can't confirm what kind of protection the Xperia S has on the display, but like the Xperia Arc, the display is easily scratched. Best invest in a screen protector. On the left side you will find the microUSB port with USB On-the-Go support, used for data syncing and charging. It is covered by a flimsy looking flap that I suspect will break easily. On the other side resides the micro HDMI port, also protected by the same flimsy looking flap. The volume rocker sits just below the HDMI port and the camera shutter button can be found further down. The power button and 3.5mm headphone jack is placed on the top of the Xperia S. On the bottom lies the lanyard loop and a single microphone hole. Turning over, you will find the 12 Megapixel Exmor-R camera with a single tiny LED flash. The camera is sat way too close to the edge, no doubt a design compromise to get the phone as thin as it is. The loudspeaker and a small microphone for active noise cancellation and camera audio recording sits just below the camera. The Xperia S also takes honour for being the only phone to have a battery cover without actually giving you access to the battery. Instead the somewhat unnecessarily large cover hides the micro SIM card slot. The cover is designed in such a way that the Xperia S felt like it was made of a single unibody plastic slab. Despite the battery being none-removable, the Xperia S's battery capacity 1750mAh which is more than reasonable. But if Motorola can somehow fit a 3300mAh battery into an equally slim RAZR MAXX, you have to question the commitment of manufacturers like Sony, Samsung and Nokia into giving us what we really want - great battery life in our smartphones. The Xperia S is comfortable to hold thanks to the curved design on the back. It isn't quite as comfortable as the Xperia Arc, but it has a nice comfortable weight to it. Despite the liberal use of plastic, the device felt solid at all times. The camera shutter key is located at a better location this time, but is still too tiny to use comfortably. Like the Arc, the camera's placement near the edge of the device will prove to be an issue to some people. Beneath the Xperia S you will find the Qualcomm MSM 8260 Snapdragon S3 SoC featuring a dual core 1 GHz Scorpion CPU and Adreno 220 GPU. This is the same SoC that powers the HTC Sensation and despite being outdated in nature, is still an excellent performer. Like the Arc before this, Sony has proven many times you do not need to greatest and fastest multi-core processor to power the latest phone as long as you get the software right. And things will only improve for Xperia S owners once the hardware-accelerated Android 4.0 (Ice Cream Sandwich) arrives. 32GB of built-in NAND storage is included, and while it is a shame that no forms of expansion slots were included, I would rather take fast NAND flash any day over a slow microSD card, though I would have preferred to have both. Hidden inside the Xperia S lies a RFID/NFC chipset. Near Field Communications, or NFC, are all the rage these days and it is obvious Sony is betting big on this technology gaining grounds this year. Sony are selling programmable SmartTags. These SmartTags aren't actually programmable, but you can set your Xperia S up to tell the tell the phone what actions are to be performed whenever certain tags are scanned. You could leave a tag in at work, which will then tell your phone to connect to the office WiFi and switch off 3G data when you scan it. The possibilities are endless. Just got home and want to immediately listen to some music? Scan a tag that instructs your phone to connect to a Bluetooth speaker and starting up the Music Player automatically. These tags will be available to buy separately. It is not known any will be bundled with the retail unlocked version of Xperia S, but in the UK, O2 will be shipping four with the device and Three UK will be bundling two. Phones 4U stores will also be selling them. A pack of four Sony NFC Smarttags will cost £9.99 and comes in a wide range of colours to help the user differentiate between each tags. The take up to Ice Cream Sandwich has been slow. New flagship smartphones like the Xperia S would normally be expected to run the latest Android version, but due to the secretive nature of how Google operates when it comes to Android, not every manufacturer, apart from the Nexus-range developers, have access to the latest version until it gets released. Regardless, the Xperia S's Android Gingerbread is now a very mature platform having been running o various Xperia devices for almost a year now. 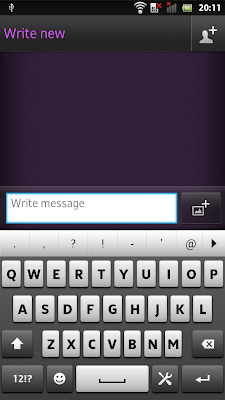 The NXT launcher for example is quick and simple to use, and stable to boot. 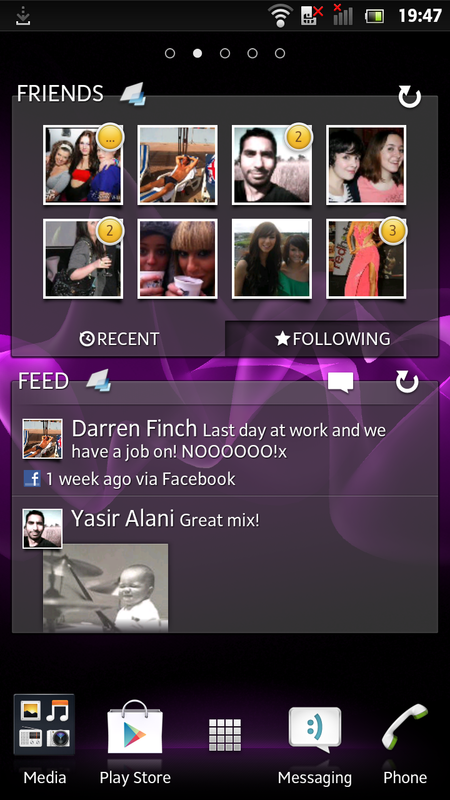 Sony's Timescape UI, much maligned previously, but improved on last year has been redone altogether. It exists now as a number of social networking widgets that allows you to keep track of your Facebook news feed and friends. 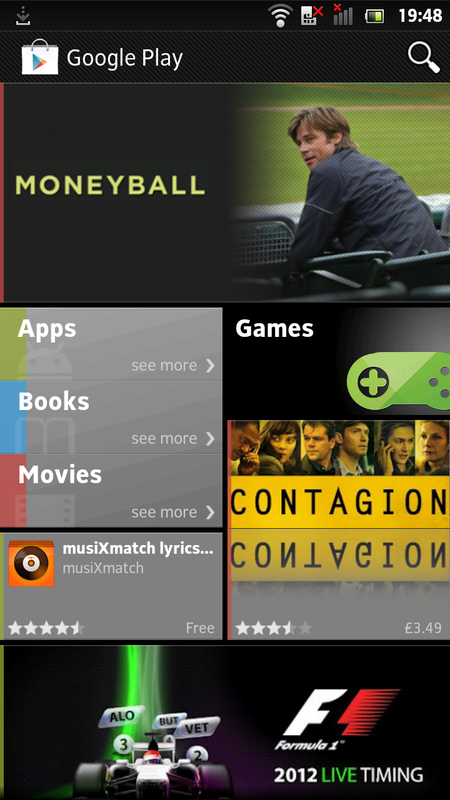 The homescreen supports up to five different panes, and also sports the typical Overview mode, accessed by the pinch-to-zoom method. It works a little bit like HTC’s Leap View, but rather than being presented with an overview of the homescreen panes, the widgets are zoomed out giving the user and overview of any widgets currently active on the homescreen. 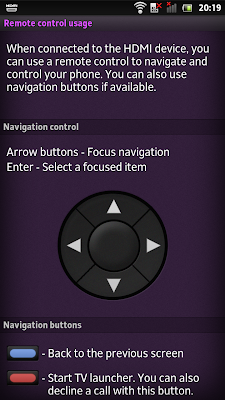 Click on any widget and you will be brought to the homescreen pane where the widget resides, simples. While the homescreen has been customised by Sony, it doesn't seem to have impacted the performance much. The device as a whole feels snappy most of the times, but there are general lags that pop up here and there. This is certainty no Samsung Galaxy S II, but considering that the Xperia S has a 720x1280 HD display to power, I think Sony did a good job optimising the code. Still, the performance could have been better and I hope Sony channels all the resources into making sure that Android ICS works smoothly out of the box once the update arrives. 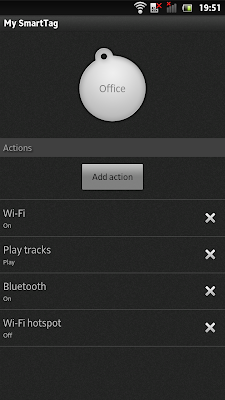 In order to get the best out of the Xperia S, you will first need a Googla/Gmail account. This will allow you to sync your emails, contacts and calendar while also giving you access to the Android Market (now called Google Play Store). Sony has also added their own section on their Android market where you will be able to find a smaller section of curated apps optimised for their phones. 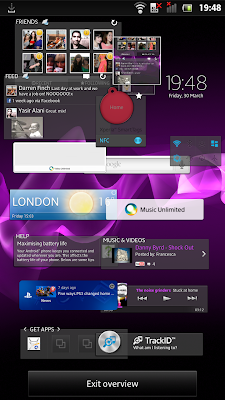 These are mainly applications and widgets made by Sony themselves and a handful of third party applications. After spending some time with the device, you will find that Gingerbread is more than enough for plenty of people and offers a mature experience. Messaging is a breeze thanks to the built-in support for threaded conversations. The built in email client is perfectly happy to handled any POP and IMAP email accounts you may have, though if you have a Gmail account, it is advisable to use the dedicated Gmail app. The phonebook is very social friendly as you can link each contacts with their own Twitter and Facebook accounts, thus giving you an easy way to view any of your contact’s latest social updates. 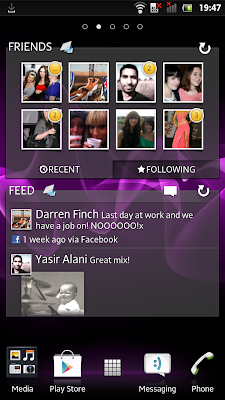 While not as straight forward as Windows Phone 7, linking contacts together with their various social network user handles is a breeze. Out of the box, the Xperia S offers the Swype keyboard as standard. Swype is a popular virtual keyboard alternative, something which I am no fan of, but you can easily install any third party keyboard you prefer. Switfkey X is my preferred third party keyboard and I suggest you check it out. Despite the large display, the keys seems almost prone to suffer from accuracy issues. I have had no issues with typing on the iPhone's and Lumia's keyboard despite both having smaller displays - so I blame the keyboard here as being the weakest among the three platforms. Still, as I mentioned earlier, you can easily replace the keyboard, and it is something everyone should do. 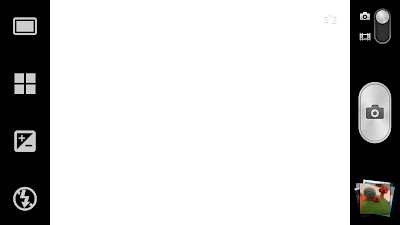 Adobe Flash, despite its pressure by HTML5 standard, is still used widely on the web and therefore its inclusion only makes sense. This will enable the browser to access Flash contents such as games and YouTube videos from within the browser itself. Overall the browser does a great job at mimicking a desktop browser. 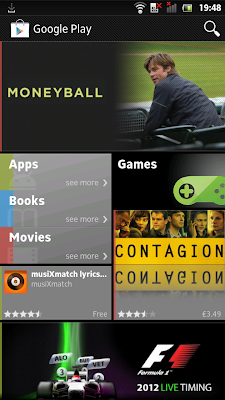 The Android browser easily takes the crown as overall best fully featured mobile web browser. A key Android feature is notifications. Since copied by Apple, notifications are a useful creations, allowing us to glance at an assortment of details we would otherwise miss. 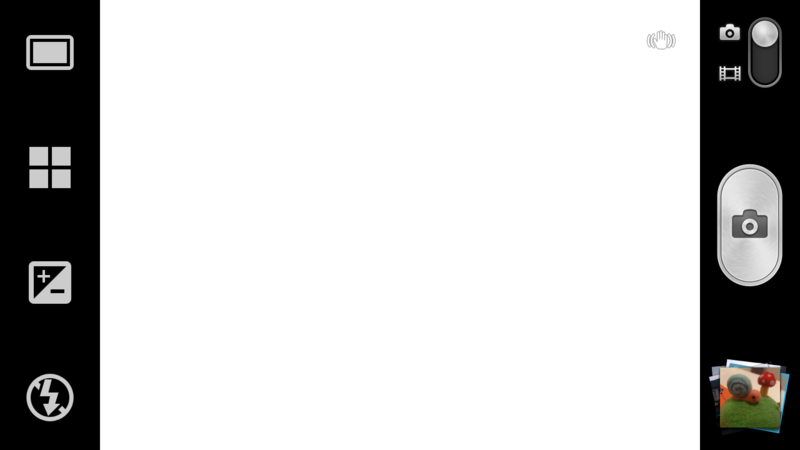 You access the notification bar by swiping downwards from the top display. Here, any notifications that appears will be listed here, be it your missed calls, text messages, Facebook messages, emails and Twitter mentions, Foursquare check-ins etc, as well as the opportunity to dismiss them all. It's a simple concept and one I wish Microsoft would also copy with the next Windows Phone update. Moving along, Sony has made a bit fuss of their four screen strategy where you will see their products working across many of their own products. It's all about interoperability, and while we are slowly getting there it hasn't quite hit the mark yet. With the Xperia S however we have a glimpse of what Sony meant by that. The device contains a nice little trick enabling you to connect the phone to the TV via microHDMI out and displaying a TV-optimised launcher. Now this, by itself, isn't that unique as others have done so in the past. 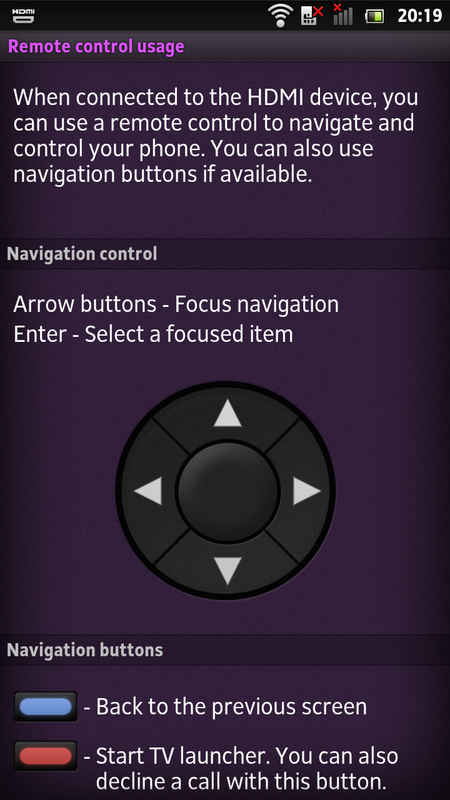 But here's the kicker, rather than using the Xperia S to control whatever is on the telly, you can use your TV's bog standard remote to control the launcher. I am not sure what TVs are compatible or how the technology works, but Sony has assured me that most modern HDTVs with CEC functionality will work. It's a pretty neat feature and one I can confirm actually works on a couple of Sony BRAVIA TV sets I tried (it doesn't however work on our Toshiba HDTV). You will be glad to know that this TV remote compatibility was apparently already built into previous Xperia devices (minus the TV optimised UI), but Sony Ericsson has never marketed it well. The Xperia S is Sony's second PlayStation certified smartphone. While it doesn't come with one built-in, an over the air update will install a software guide aimed at advising users on how to get PlayStation games onto the phone. Personally I thought the whole experience of getting it to work was annoying at best, and wishy washy at worse, instructing me to enter the settings and allow the phone to allow installation of apps from unknown sources, head back into the guide and then download and install the PlayStation client. The lack of streamlined installation highlights the issue with Android in general, and Sony in particular (at least with this phone). Why couldn't the client be installed via that very OTA update itself? And what do you get after all that trouble? A PlayStation Store that sells you sixteen PlayStation One games. Sixteen! I had high hopes when Sony Ericsson announced the Xperia Play last year, but if Sony were only able to provide us with 16 titles after a year, then they have to take a hard look at how they operate. After all, the mighty PS1 console has a library of over 2000 titles! I have decided to write a separate in-depth sound quality review of the Xperia S. You can read it here. The Xperia S is equipped with a 12 megapixel Exmor-R back illuminated sensor and f/2.4 aperture lens, meaning the camera here should excel with low light photograph. In theory at least. 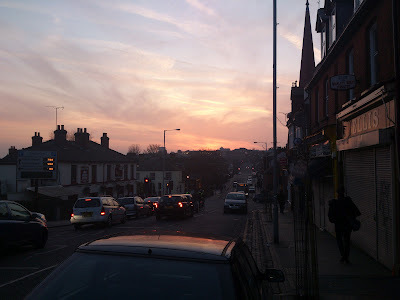 While no match for dedicated pocket cameras, the Xperia S provided some pleasing results. Sony has not published the focal length of the Xperia S's lens, but I believe it to be 35mm equivalent. The camera is also capable of capturing pictures in 3D format. Unfortunately as I do not own a 3D TV or display, I have no way to testing this. However I have seen this being demonstrated in person by Sony themselves and is convinced that it works. Images were sharp, focused and for most parts, correctly exposed. Colours were accurate, meaning that the camera was able to judge the settings correctly and apply the correct white balance values. You get the usual issues associated with mobile phone photography such as poor dynamic range (though this can be fixed with using a HDR app) and noise, even when shot with low ISO, but all of these can't be helped short of releasing a larger sensor whilst reducing the pixel count. The camera is also capable of recording videos in 1080p HD with continuous autofocus. Unfortunately the autofocus mechanism is a bit of a hit and miss. I recorded several videos, and every one of them had issues with refocusing. Check out the video sample below to see what I mean. The video also demonstrates the poor dynamic range that all camera phones currently suffers from. There is also an issue with the audio, and YouTube complained that there were video/audio sync issues. You can view more untouched image samples, including sweep panorama shots, and video samples here. Debuting at £460, the Xperia S has already seen deep price cuts by retailers. It now costs £386 for a sim-free Xperia S from Amazon UK, which is actually a fair price. Unlike the Xperia Arc, I wasn't immediately floored by the Xperia S. Still for only £386 it is hard to argue against the Xperia S. The device is stylishly designed, has a gorgeous display, captures nice images, contains a fast enough processor to be still relevant, sounds great and will eventually get ICS. But it is difficult to recommend this phone outright. The touch sensitive hardware buttons for one are more than just minor irritations (in fact I would go as far as calling it a deal breaker), which I hope can be fixed via a firmware update or that the unit I have is defective. 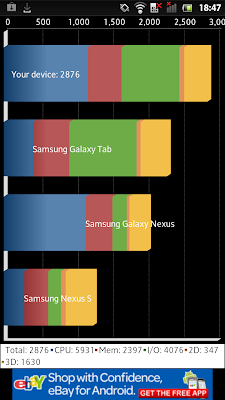 Further more, the lack of ICS is difficult to comprehend when rivals flagships like the HTC One X will ship with Android 4.0 built-in. Having said that, the Nvidia Tegra 3 version of the HTC One X does currently cost £100 more than the Xperia S. Buttons issues aside, the Xperia S is a nice smartphone that is recommended but with the usual caveats attached. Epic review. Sounds like this will be my main phone. Will you be reviewing Sony Walkman Z series? Thanks to the striking transparent plastic strip of the Sony Xperia S, the smartphone stands out from the clutter of smartphone present in the market. i was just wondering if you made a mistake in saying there was a micro sd slot under the battery cover as i do not think this phone has a micro sd slot which i think is pretty dim.it is like 3 steps foreward and 20 steps back(from xperia arc). ah,sorry.why do they not have this handy extra storage device.really handy for transfering media and contacts from phone to phone.i have saved all my contacts etc in my micro sd and sold my phone now i have to figure an easy way to get my data into my new s.great review by the way,thanks. You could transfer your contacts via Google sync, or if you had it backed up to a microSD card, via the internal storage. It's accessible as a mass storage.